Cookies and Cocoa- these two holiday staples go hand in hand so today you get not one but TWO delicious recipes and gift ideas! Now, there’s only 1 catch.. neither are exactly “health” food but it’s Christmas, it’s ok to splurge a little right? 1. Mix all of your ingredients in a large bowl. 2. 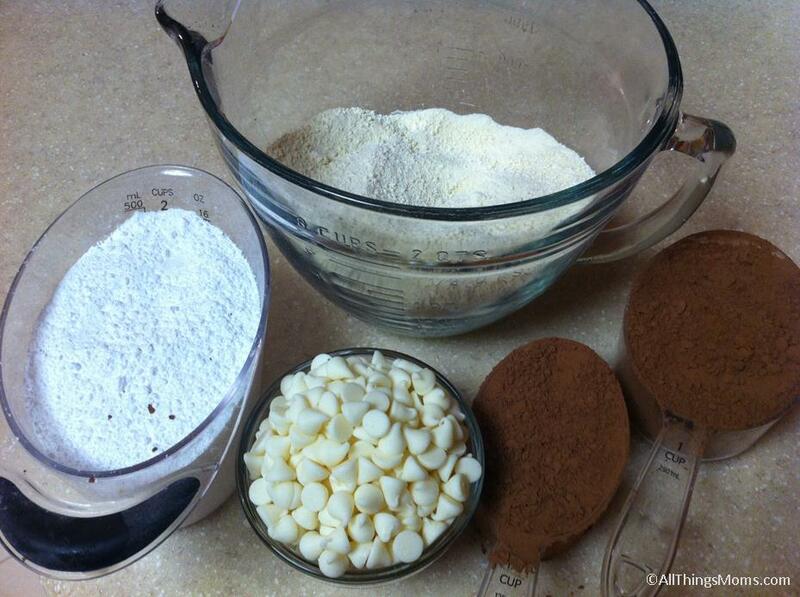 Pour your mixture into a food processor and pulse until all of the chocolate chips are ground up. This may take 2-3 batches depending on the size of your food processor. 3. 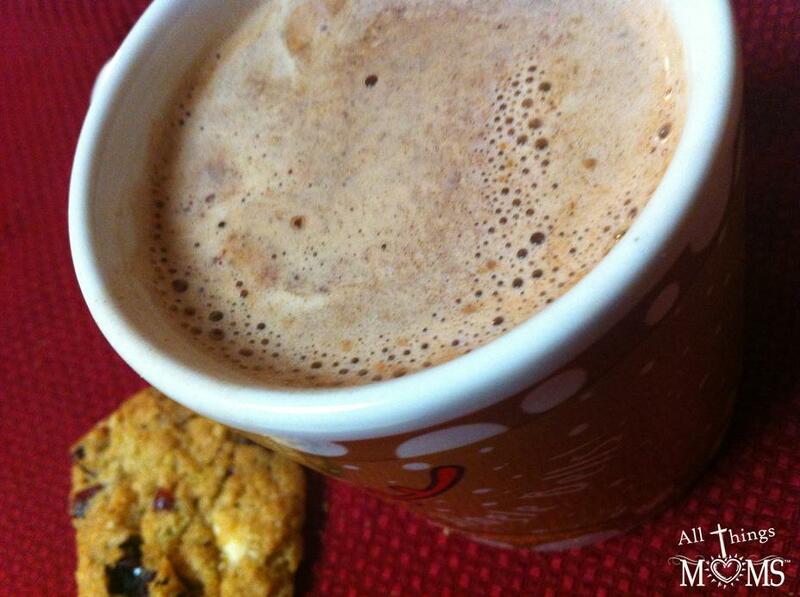 To serve add 4 tablespoons of cocoa to 1 cup of hot water or milk. I really like this hot cocoa mix and my husband says he prefers it over the little packs because it all dissolves and doesn’t cake up on the bottom of the mug. 🙂 To give it as a gift just put some in a little jar or bag tie a cute bow on them! 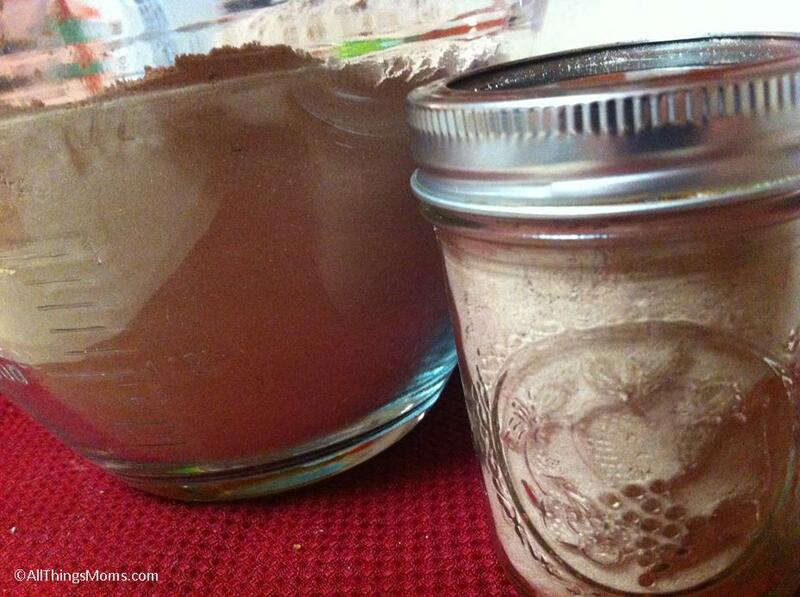 The mix should be good for up to 3 months in an airtight container. Now for the cookies to go with this! This is a great cookie gift recipe because you can layer all the dry ingredients. 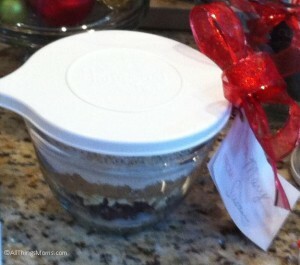 Then the recipient just adds 3 easy ingredients and bakes! 2. 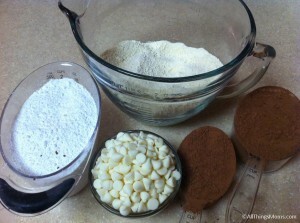 Mix all ingredients together and scoop onto a cookie sheet or stone about 2 inches apart. I used a Small Scoop which is approximately 1 tablespoon, Medium Scoop (approximately 2 tablespoons) would also work, just makes larger cookies. 3. Bake for 13-15 minute until edges are golden brown, cool for 5 minutes. 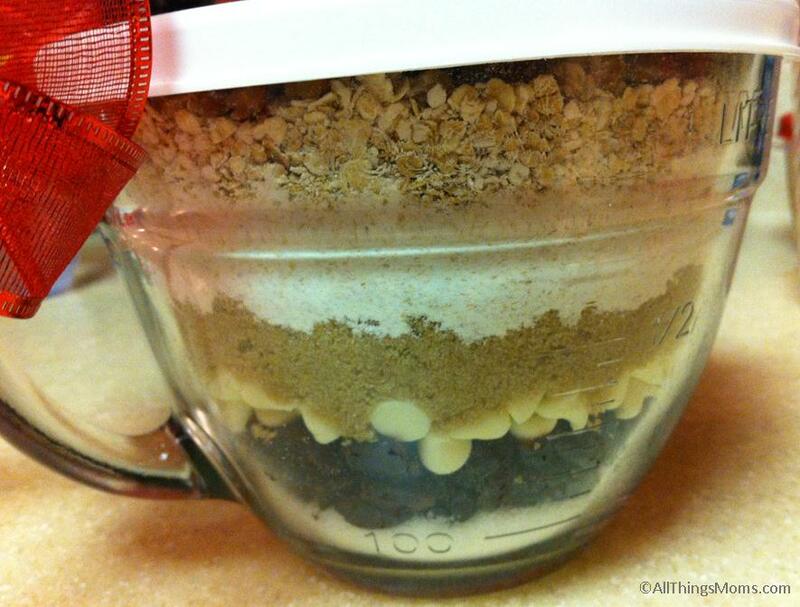 For Gifts: Layer all the dry Ingredients in a 4 cup container in this order: sugar, cranberries, chocolate chips, brown sugar, flour, baking soda, salt, oats, and pecans. The Pampered Chef Small Batter Bowl is the perfect size for this and makes a great gift that can be used year round after all the cookies are gone! Attach a tag with directions to mix in remaining ingredients (butter, eggs, vanilla) and bake according to directions above. You can find a printable tag for your gift including directions at The Pampered Chef. These cookies are delicious too! We like to pop them in the freezer after they cool. Then just pull one out when you are ready to eat it – you can warm it up but it’s SO GOOD frozen! Freezing cookies was my husbands idea -it took me a long time to even try a frozen cookie (it’s my personal belief that they should not even cool, lol, just bake and eat quickly!) but I gotta hand it to him, frozen cookies are amazing!! They are also great to have on hand this time of year for guests, gathering or gifts! 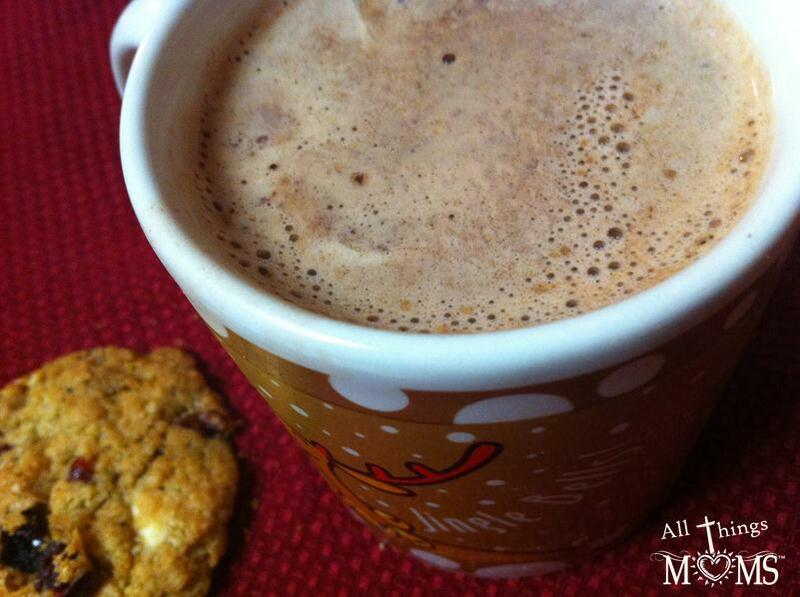 Looks like a great cocoa gift. Thanks for sharing!